Six Degree Productions is a small production company based near Macroom in County Cork, Ireland which is run by Robb Bradstock. 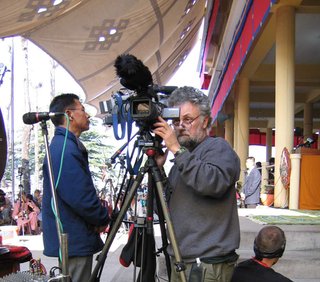 The primary aim is to make documentaries about the people who contribute to the world’s rich cultural diversity. An Inspired Gathering a documentary film about The West Cork Guild of Craft & Design with Jeremy Irons. Purchase a DVD of a completed film . After fifty years in exile, the Dalai Lama and the Tibetan community in exile face an impending crisis that may result in their culture losing its identity and disappearing forever. 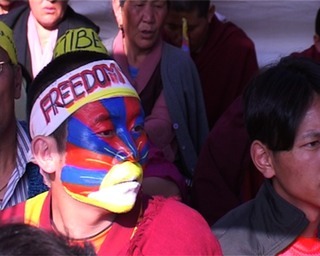 This documentary examines the difficulties confronting Tibetans in exile as they struggle to adapt to the increasing intrusion of the modern world. Hunger Strikers in McLeod Ganj,India. An older Tibetan lady in Dharamsala, India. please don't hesitate to contact Robb.